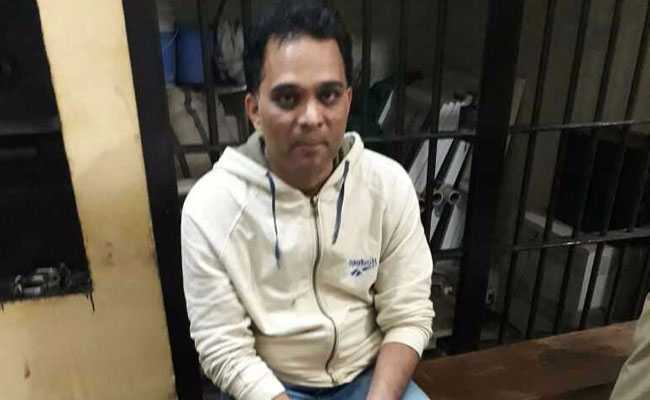 Ameet Gaikwad, who is an assistant professor at a local medical college, was arrested on the night of January 17 after he was caught with flammable substances. He is suspected to have been behind more than 15 incidents of setting cars on fire this year. For the last two weeks, there was panic among residents of Gulbarga and Belgaum in Karnataka, as cars were mysteriously set on fire in the middle of the night. But the residents, and the police, will breathe a sigh of relief with the arrest of a doctor earlier this month. In the last two weeks, more than 15 cases of parked cars being set ablaze at night have been reported in Belgaum and Gulbarga. Most of these incidents happened between midnight and 3 in the morning. On Wednesday night, a security guard working in an apartment building spotted the doctor moving around cars parked in the area. The guard immediately alerted the police to this, who promptly arrived at the spot at Visveswaraya Nagar and questioned Gaikwad. The 37-year-old doctor was not convincing with his answers and the police decided to search his car. The search revealed he was carrying camphor, engine oil, diesel spirit petrol cans and cloth balls. The police immediately took him into custody. The motive behind Gaikwad's actions are still being investigated, senior police officer Seema Latkar said, adding that he has been seen pouring petrol and other materials to set cars on fire. Since his arrest, no such incident has been reported. The last reported incident happened at Jadjav Nagar, when residents spotted eight cars on fire.